Musicgifts4u in association with Zazzle present a unique range of music themed Birthday party invitations. Choose from twelve unique paper types, two printing options and six shape options to design a card that’s perfect for you. Two printing options available: Standard and High-Definition , High quality, full-color, full-bleed printing on both sides. ​The selection of music themed birthday party invites below can be designed in any color and on any style by contacting us via the contact page to discuss your requirements, or if you already like the color and style just click on the image to be taken to the invite page on zazzle where you can add your own birthday party event and personal details. A rainbow splash of color compliments this black with white text music themed birthday party invitation. 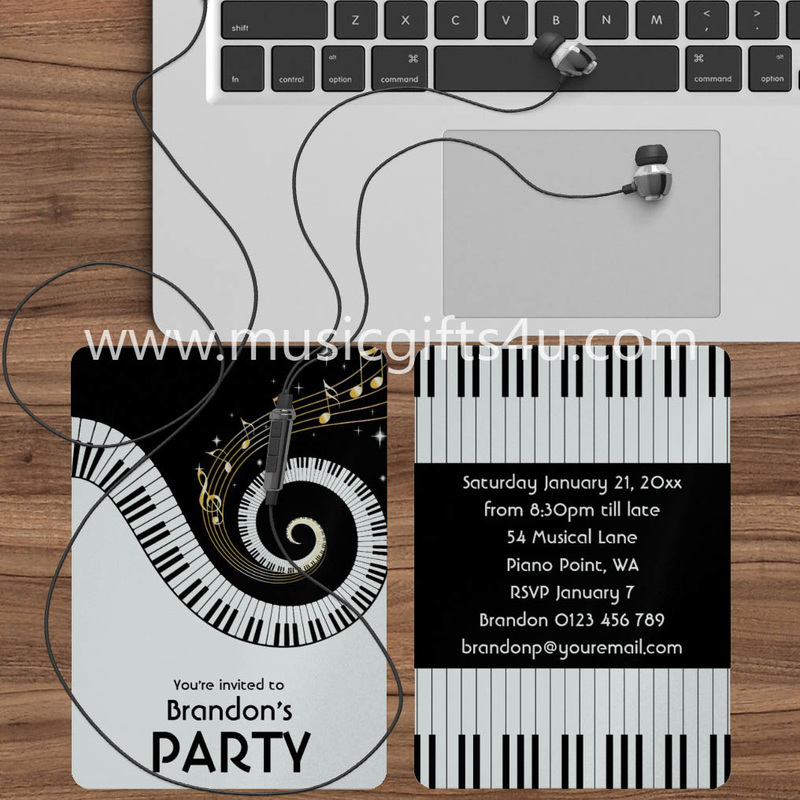 Luxury metallic silver shimmer golden music notes Birthday party invites with piano keys on the reverse side, fully customizable to reflect your individual taste.